Discover how to run smarter and prevent common injuries by ordering your FREE runner's guide by sports podiatrist, Dr. Richard Graves. Advice for overcoming running injuries, returning to exercise, preparing and training for your next race and tips for finding the perfect running shoe, stretching and more! This book provides time tested, medically sound advice to keep your runner's feet healthy, happy and most importantly, injury free! For many people running and injuries go together like peas and carrots. One recent survey reported that more than 90% of runners had missed at least one workout due to an injury in the previous year. If you've ever been to a social gathering of runners you know that they spend as much time talking about how they recovered from their most recent injury as they do talking about their most recent 10K. Many wear their injuries like badges of honor. Unfortunately, repetitive injuries can often result in runners completely giving up on their training. The threat of injury also deters many people from even starting to run in the first place. but it doesn't have to be that way! By following a few simple practices you can show the injuries who's in CHARGE! 1. Injury Prevention - The easiest injury to recover from is the one you never sustain in the first place!! There are several key points when preventing injury. First, follow your guidelines for proper shoes and replacing them frequently. Second, follow a proper training schedule. Never increase your total mileage, the length of your longest run, or your pace by more than 10% each week. And don't forget to give yourself a break! Mix in some easy training days and even easy weeks. We recommend you vary your running pace, distance, terrain (hills, trails) and surface (street, grass, track, etc.). Another variation would be to cross train. Try cycling, swimming, wight training in lieu of the normal run at least once a week. 2. Early Recognition - Sometimes, even with the best of prevention, aches and pains start to creep in as your running increases. This is when you really have to attentive to what your body is telling you. First off, know your body and listen to what it is telling you. New pains in new places can be a warning sign. Excessive fatigue can be another alert that you're headed toward injury. Of course you can expect to have some "discomfort" associated with running - nobody said it was going to be easy! The important questions is, "How do you know the difference between soreness and injury?"... Read more about the early warning signs of an injury in Run For Your Sol: The Runner's Guide to Foot & Ankle Injuries & Prevention. Train smarter and injury-FREE. It's easy! 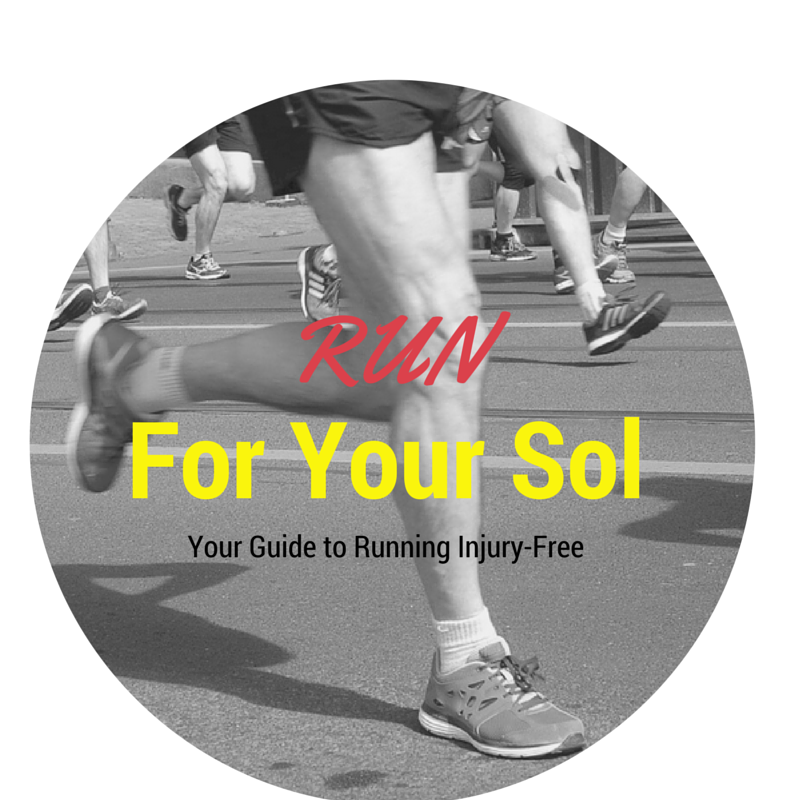 Order Run For Your Sol - your free runner's guide.